Hey Everyone! Welcome to the cymaratechoverdragon forums! Hope you like it! This is the place to keep in the know, current events are posted here, also it includes the rules of the forum so read before posting! Keep in the know, every event that will be happening will be posted here! So check back daily. Got any suggestions for this forum? ways to improve? perhaps new groups to add? well please feel free to suggest them here. If you have any questions also, feel free to ask here, you are guaranteed to be answered! Know of a new game thats being released? keep us informed here! Play your favorite pointless forums like "The 3 Word Game", "The Find That Picture Game", and many others! Maybe create your own! Everyday we will be posting a video of the day, want in? rank up your battle points and bid to get your vids advertised! What sort of things do you like to do? whether it be sports, house work or even chilling, tell us here! Talk about all sorts of things, just general things basically. If you have ever written a story or a manga and you would like people to share it the post it in this section. Are you new? Want to be known? This is the place for you then! Anything not related to any console but is still gaming, chat here. Post what ever funny jokes, riddles, or anything else I didn't mention. For shops, EVing, Sigs, Art. Talk about the 4th gen games pokemon diamond, pokemon pearl and pokemon platinum here! Pokemon games that have been tweaked, pretty much fan made, discuss here! Use your copy of pokemon diamond, pearl or platinum to battle other people who like to competetive battle, find battles here! Use your copy of pokemon diamond, pearl or platinum to trade with other people. You might get rare pokemon here ! Talk about the first pokemon games ever created, then the follow up introducing kanto and johto! Talk about the ever so popular games which introduced EV training and the battle frontier! This is a part for the games that didnt follow on from the gen games, The pokemon mystery dungeons and thepokemon ranger games! Discuss My pokemon emerald walkthrough here, maybe suggest things! Just like the Emerald section, Discuss or suggest ideas for my walkthrough here! The..erm few Rijon Adventures videos i made, i was only suppost to do the elite 4, but i added a little extra, chat about it here! Discuss the epic and not epic XD Shoddy Battles of mine! The eagerly anticipated wait is over! there out and people are loving them! discuss here! Is your team good enough? Get it rated here. Are you new to anime and you dont know where to start? well here is a top 100 anime list for you to look at and choose! 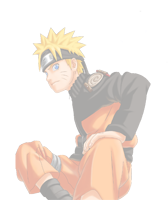 Discuss the long running anime of Naruto, which is 1 of the top 10! Chat about things to do with it. You a good fan of bleach? wanna meet people like you? then this is the place for you! You a big fan of Fullmetal Alchemist? you should check it out here then! Steel loves this anime, he got quite a few people into it, wanna be one of those people? Then come here! One of the most long running animes, lots of people like it, do you? come and check it out! Here you can talk about everything to do with the castlevania games, keep us informed of new releases! Whos your favourite Character? Who do you think has a better Role? Discuss here! Wich is your favourite game? whether it be a timeless classic or a brand new one, you decide! Was it mario? or was it luigi? maybe yoshi? who did you like best? Tell us here!